Hands down this is one of the best day trips an adventure traveler could choose while visiting Cusco. Between the jaw-dropping scenery, impressive Incan ruins, and the spectacular salt flats you have the chance to visit, this adventure tour is as well rounded as they came. Pedal your way past scenic lagoons, snow-capped mountain peaks, and rolling farmland, making stops at the impressive archaeological site of Moray and the iconic Maras salt terraces along the way. You get a bit of Incan history, heart-pumping adventure, and postcard Andean scenery on this full-day mountain bike tour. You may be asking yourself why a restaurant is on this adventure travel-focused list of things to do in Cusco, but trust us, it belongs here. 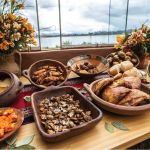 Chicha by Gastón Acurio takes its diners on an adventure into the local cuisine and ingredients of Cusco. All of the dishes on the menu feature ingredients grown and sourced from local producers, while the menu is entirely inspired by ancient and modern day Cusco culinary tradition. In summary, Chicha by Gastón Acurio truly brings it all together – Andean gastronomy, culture, and tradition – into one memorable fine dining experience. 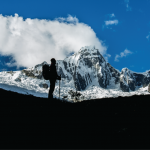 How does a luxurious lodge-to-lodge trek into the scenic Andes sound to you? That’s what Mountain Lodges of Peru provides. 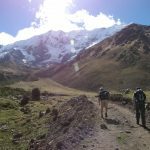 Whether you choose the classic Salkantay Trek to Machu Picchu or the Sacred Valley and Lares Trek, adventure with a nightly dose of plush, pillow-top comfort comes with it, as do countless cultural immersion experiences and a sense of treading lightly on the otherworldly landscapes you’re traversing. 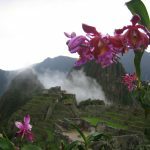 Arrive to Machu Picchu refreshed in every way, from your mind to your body and your spirit. The Andes have a way of doing that to a person and Mountain Lodges of Peru makes sure that you feel that. We’ve been pioneering adventure travel in Peru since the 70’s. Explorandes was the first Peru tour operator to offer Inca Trail treks and we’ve gone on to be the first to offer countless other Andean trek routes over the years. 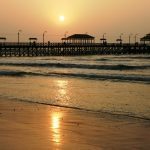 Entrust us with your Peru holiday and get ready for the Peru adventure of a lifetime. Contact us today!